The M400 is a breed of mouse found when working the final phase of the M400 Hunting Research Assignment. It is known to drop a large variety of loot. Cheese: Fusion Fondue Charm: ?? The apex of modern mouseology and mousegineering. Combining years' worth of mouse ethology gathered from the top hunters in Gnawnia, the best and brightest minds out of Digby and the top secret equipment held in Laboratory Room #54 resulted in this: the M400 Prototype. Designed to adapt and camouflage itself as all known breeds of mice, it lives among them in order to analyze and document different mouse behaviours in the wild. Advanced defences make it uncatchable to stay out of hunters' traps, and equally advanced weaponry defends itself against suspicious adversaries. The perfect mouse... A little TOO perfect. 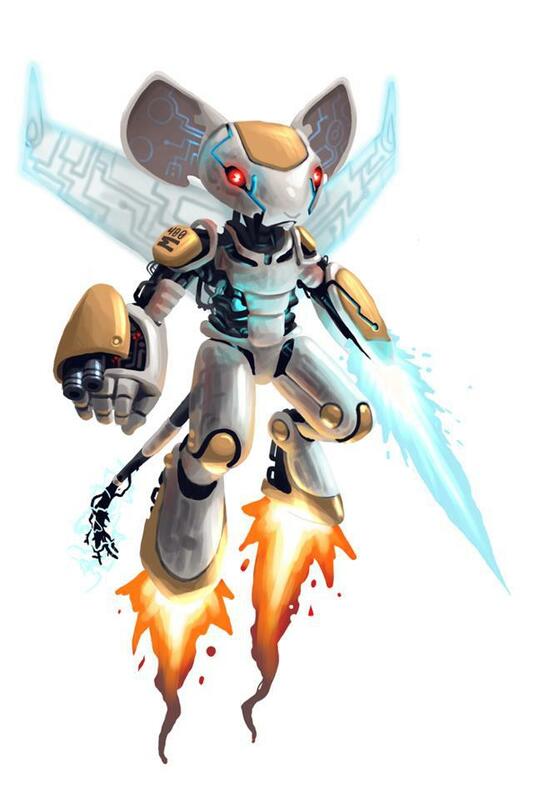 Once the behavioural modules went live, it became sentient, with the belief that it actually was a unique, wild breed of mouse! It easily broke free and has avoided all attempts at recapture. This "new" breed is next to impossible to find. Recent sightings show that it seems to have made some improvements on itself and the M400 has been spotted in multiple regions simultaneously. Leading us to believe it has some how figured out how to clone itself... What have we done!? The M400 has been found to be especially attracted to Fusion Fondue, to the point that any other kind of cheese will simply not suffice. The M400 can only be attracted as the last mouse for the M400 Hunting Research Assignment, and only when Fusion Fondue cheese is armed. All power types except Physical and Tactical weapons are ineffective against it; no other mouse will be attracted, so it is safe to use a physical trap for this mouse even when it is located in an area where physical traps are normally ineffective. After successfully catching this mouse, any remaining Fusion Fondue cheese is automatically disarmed. Arming EMP400 Charms will give a 25,000 power boost, but does not guarantee a catch, and the charm will be consumed regardless of whether the M400 is caught. Just as it was captured, the M400 mouse fired an emergency EMP blast, disarming my bait and warning other M400 Mice in the area! I will have to start another research assignment to locate where the M400 are now hiding. The M400 drops a wide variety of loot from the list below. The M400 drops the M400 Egg during the annual Spring Egg Hunt. The M400 was intended to be the 400th mouse introduced to the game, but its introduction was delayed. 26 February 2014: The M400 was a part of the Library Assignments update. This page was last edited on 22 May 2017, at 17:19.